I appreciate this opportunity to introduce myself at your University and support my application for the Master program in "COURSE NAME" course offered by your University. With my working experience and academic knowledge I strongly believe that I am suitable candidate for the program. 2-في الفقرة هذه رح تقول انك حصلت علي بكالوريوس/ ليسانس في تخصص ايه بكليه ايه من جامعه ايه واي سنة . 4- في هذه الفقرة رح نكتب إن انا متأكد إن هذه الفرصه رح تزود معرفتي في مجال كذا ورح تخليني اقدر احقق خططي في المستقبل. 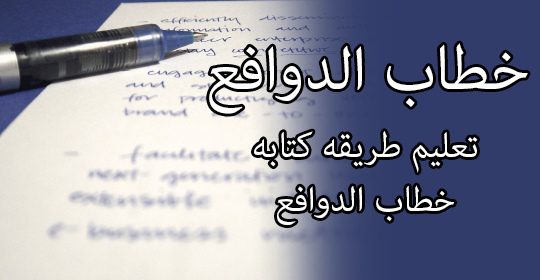 I believe that this course will give me the opportunity to increase my knowledge in " ………. " to be able to achieve my goals in the future. I have very much enjoyed the challenges of working in "…………" in the past, and intend to work in this area in the future. I am committed to developing my professional skills to allow me to work to the fullest of my potential, and as a consequence I am highly motivated to study for this course Upon graduation, I'll be prepared to address the challenges of leading international projects and maintaining ethical and professional standards. 5-في هذه الفقره اكتب انك بعد عودتك لبلدك رح تعمل كذا وكذا" حط هدفين من اهدافك اللي مخطط تعملهم بعد الكورس"
6-في الاخير تكتب خاتمة بسيطة تقول فيها انك اخترت الجامعة / المنحة هذه لاجل سماتها العالية وجودة البرامج والتخصصات اللي تقدمها . I am particularly keen to study in University of ………… because of your research interests in "Selected Sector" and your reputation of excellence in these fields. The international reputation of the department attracts such a variety of students and I believe it will be a stimulating environment in which to study at master's level. 'University Name' also provides excellent working and recreation facilities for graduate students which demonstrate your commitment to the graduate student body. وبهذا الشكل تكون كتبت خطاب نية " دافع " احترافي ان شاء الله ... حاول تقرأ وتركز كويس وانت بتكتب وما تكتب اي كلام أو معلومات غير لازمه وحاول تركز في المضمون الخطاب واسئلتة .